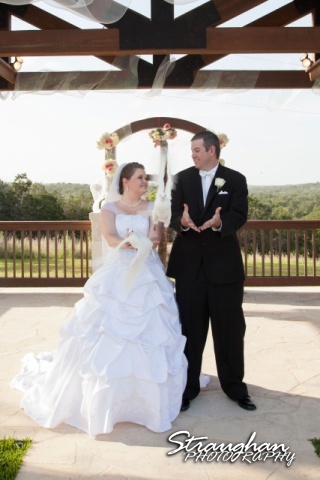 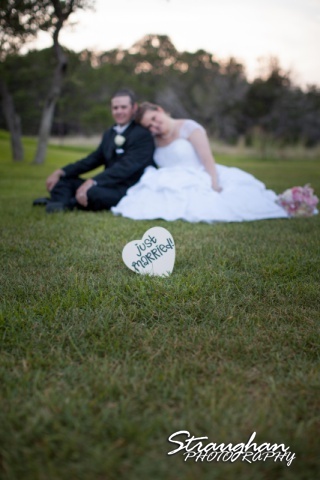 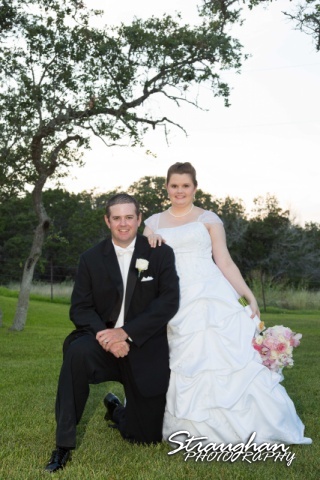 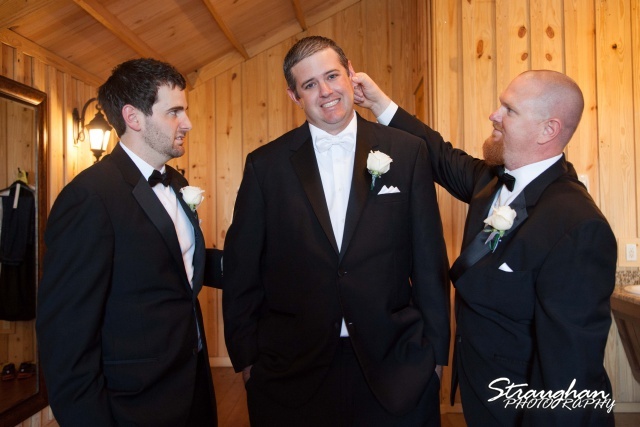 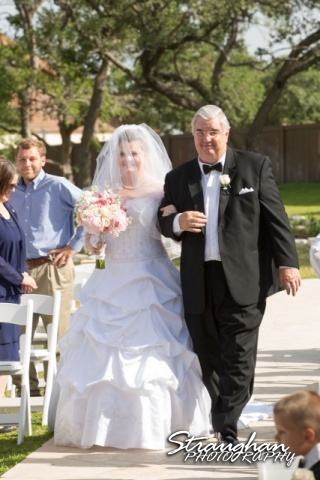 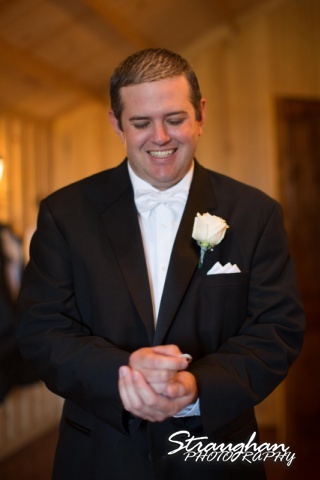 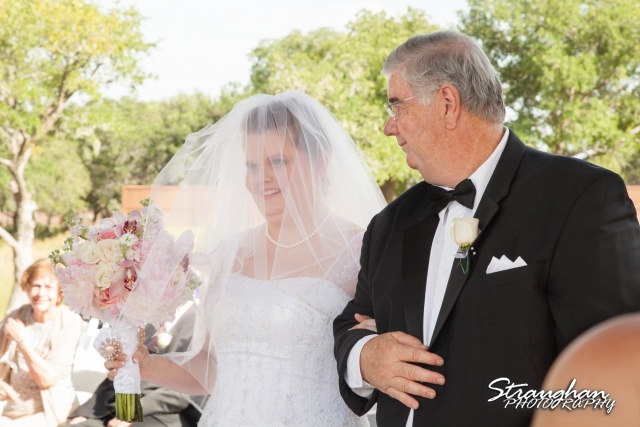 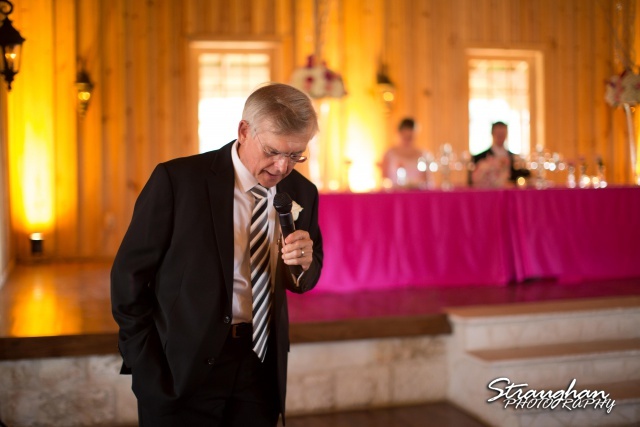 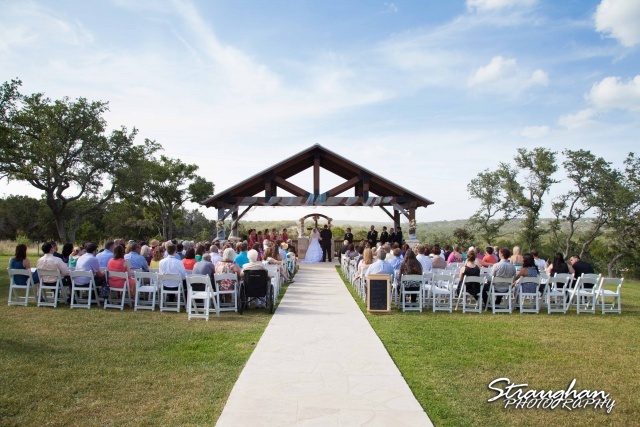 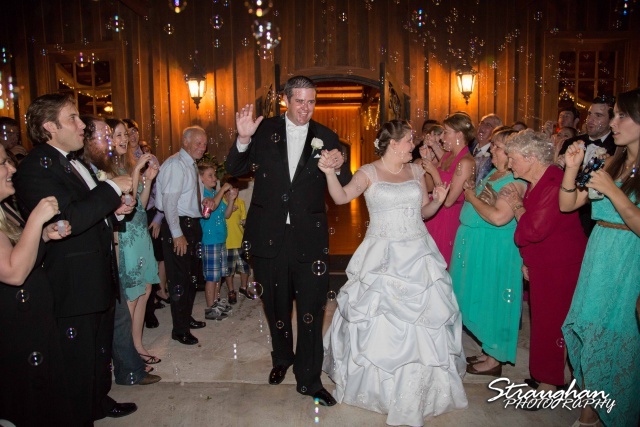 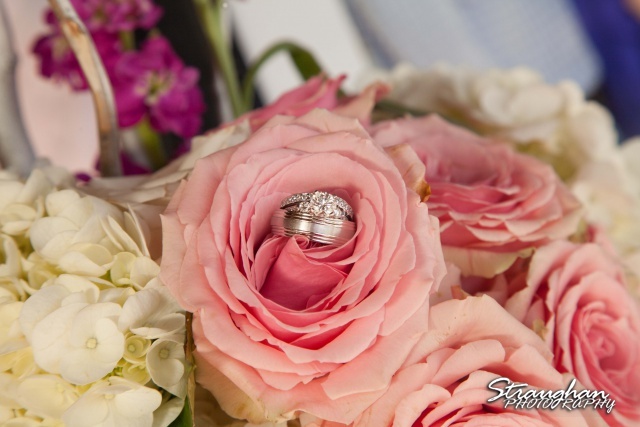 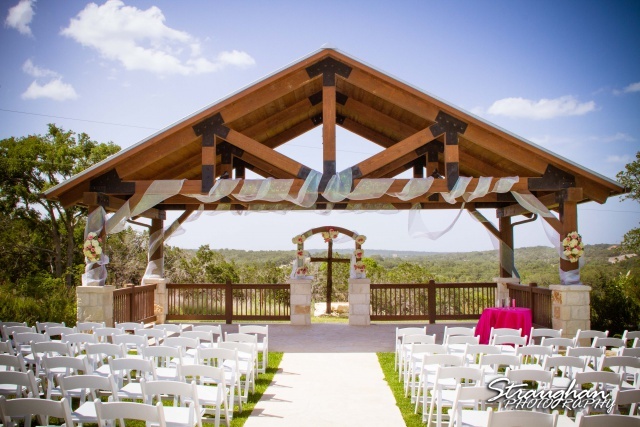 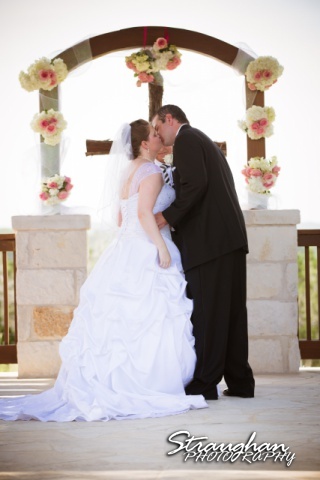 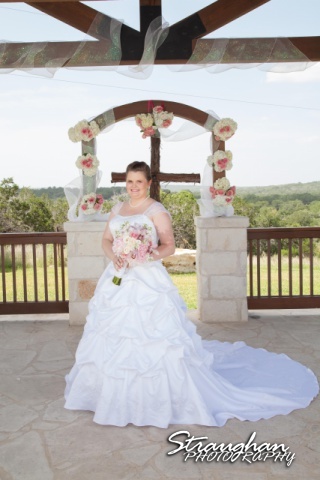 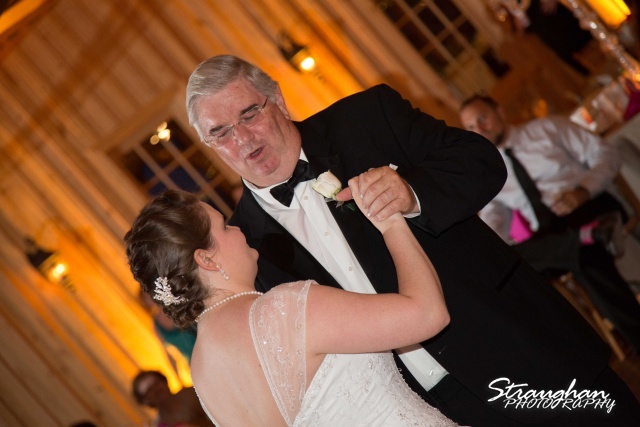 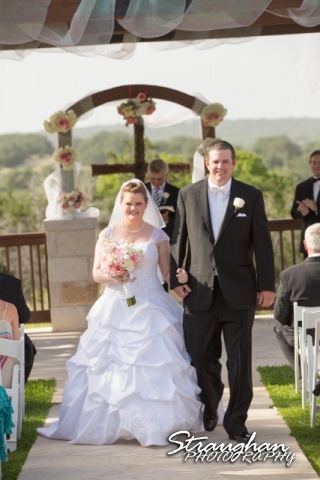 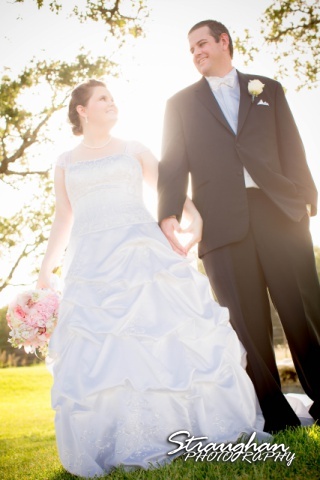 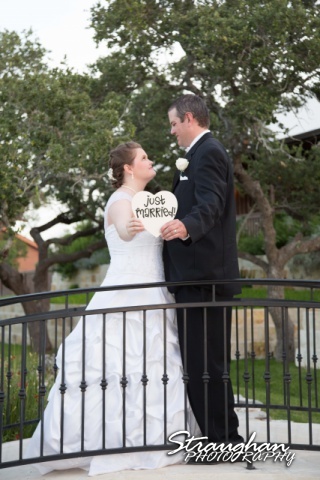 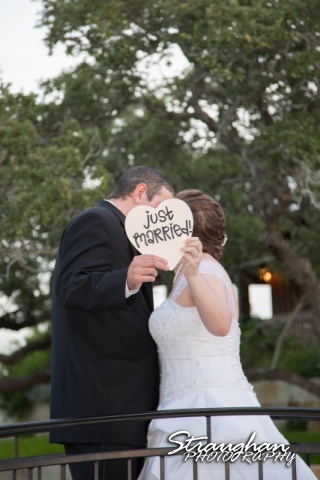 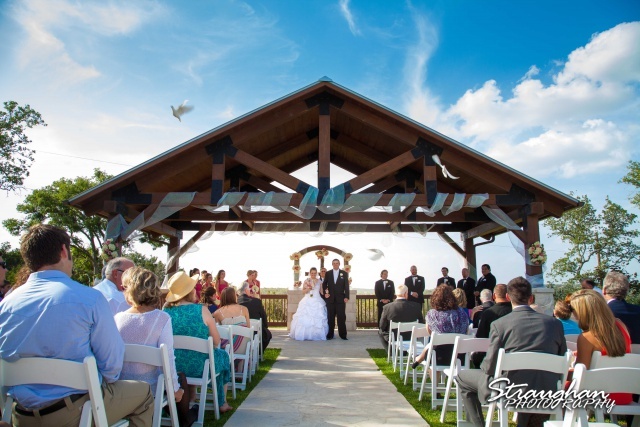 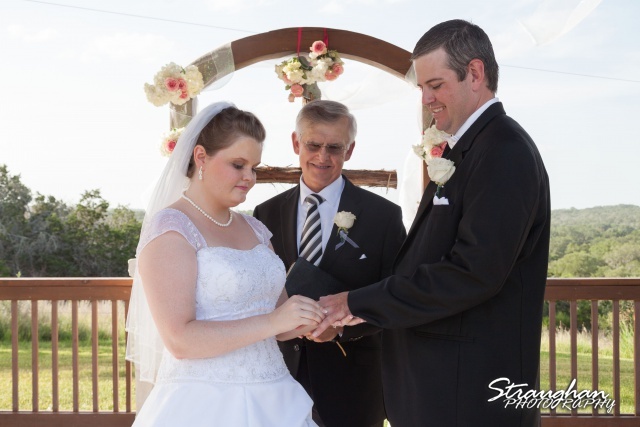 Kelly and Roy’s wedding was held out at beautiful Boulder Springs in New Braunfels TX. 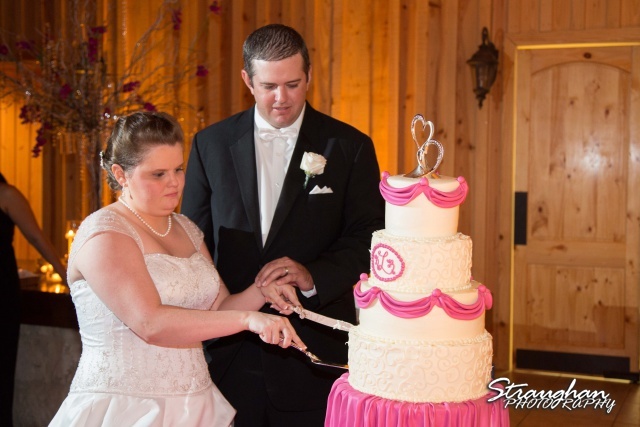 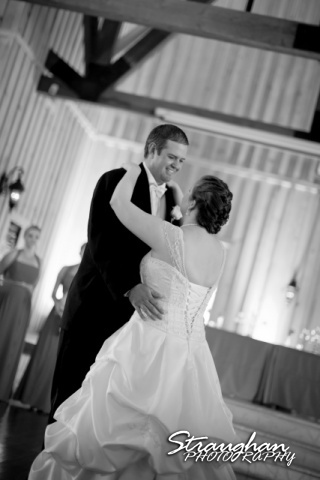 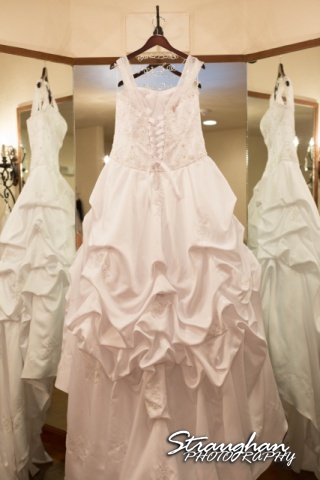 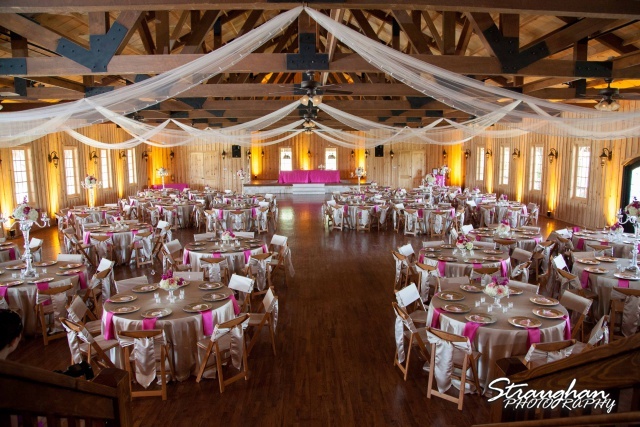 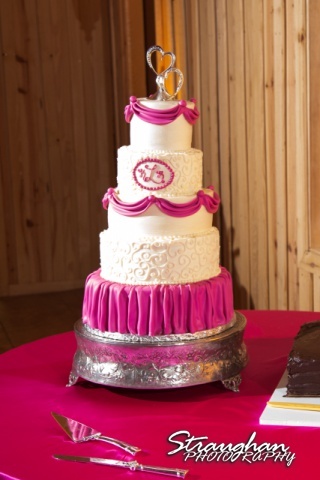 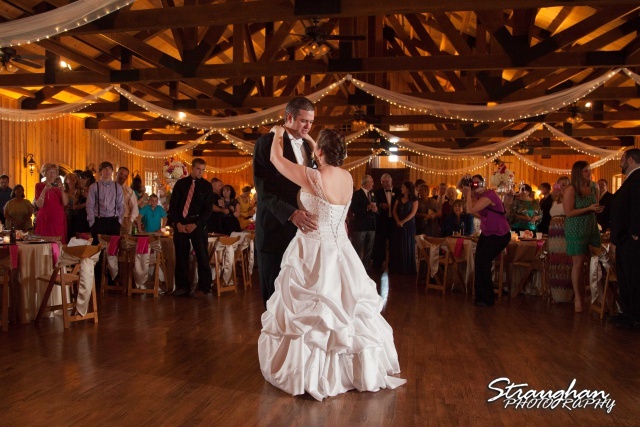 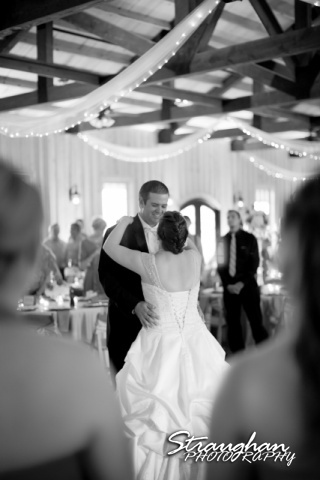 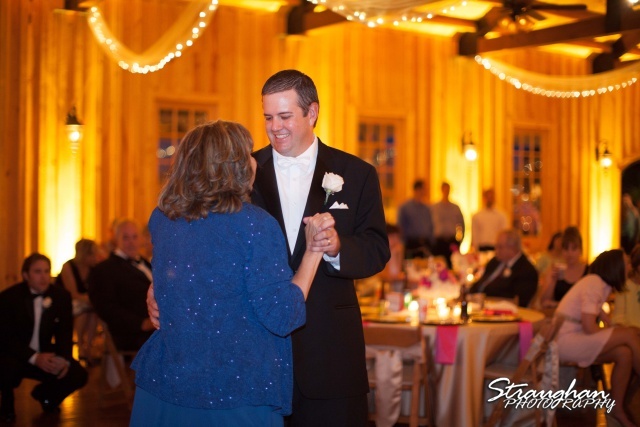 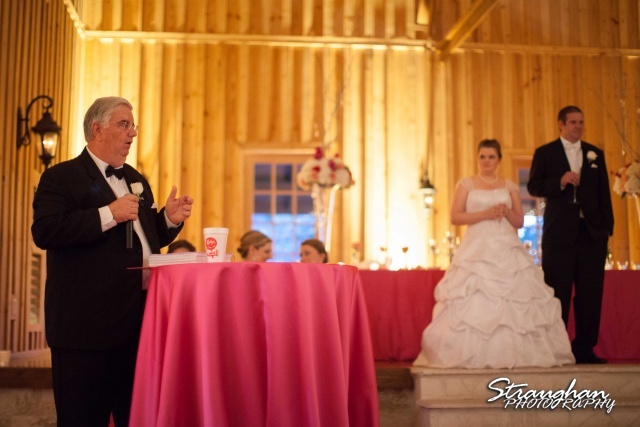 There wedding was a Legacy Hall, decorated in bright pink, black and white. 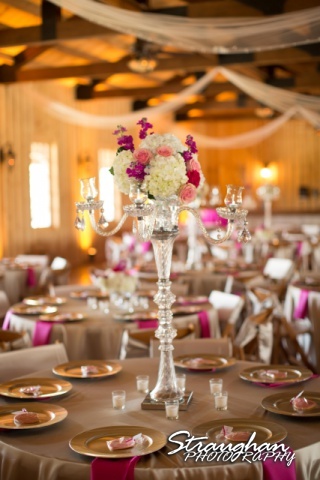 Chic Concepts did a wonderful job on the decor and the up lighting added romance. 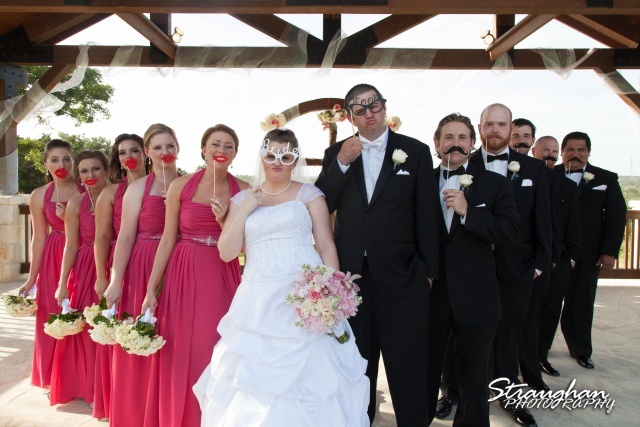 The bridesmaids and grooms men were fun! 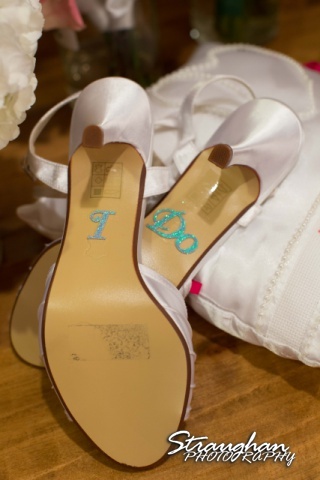 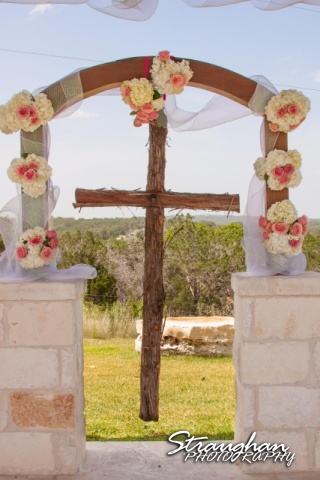 The cross was handmade for this wedding. 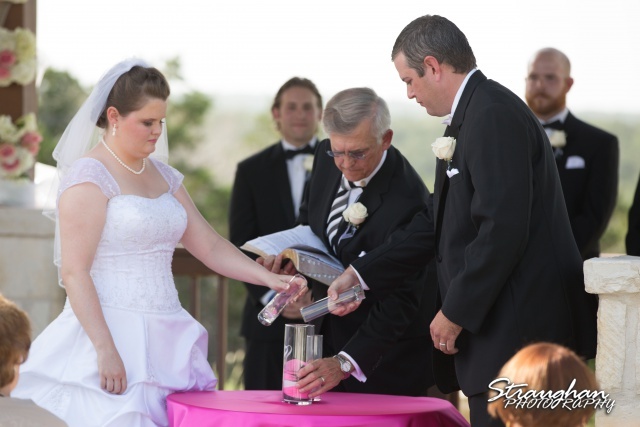 Her brothers laid down the law. 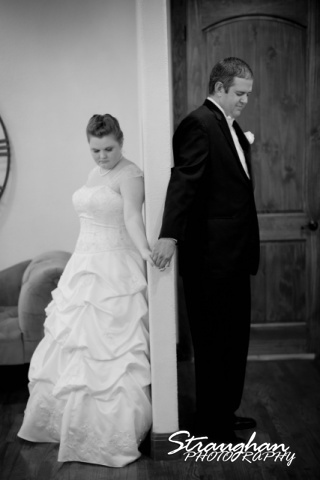 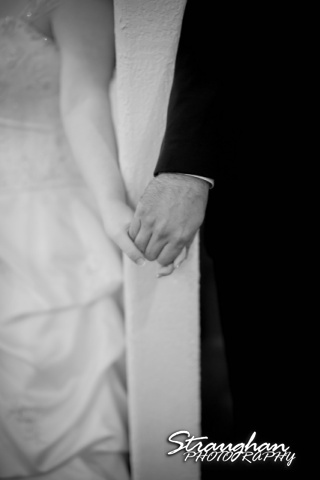 A moment before the ceremony. 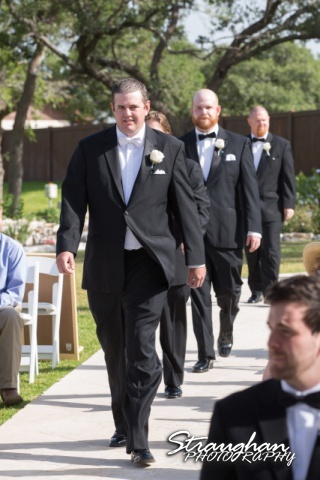 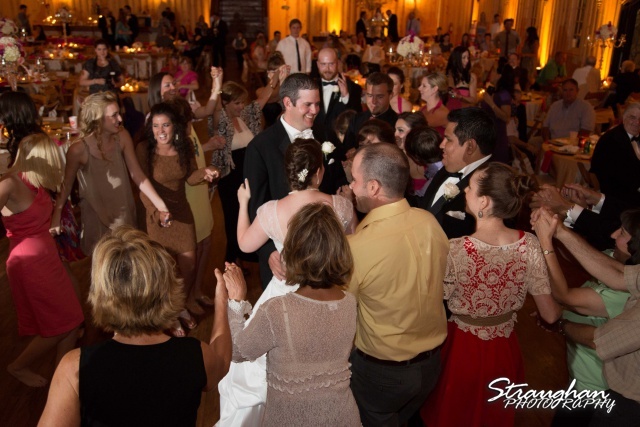 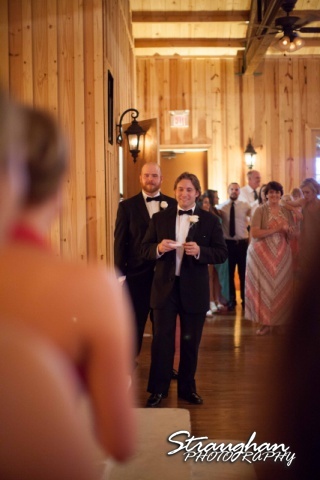 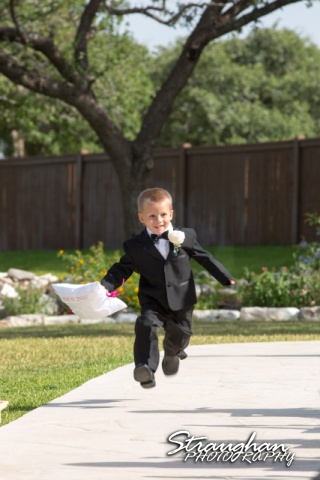 Everyone was excited to get down the aisle. 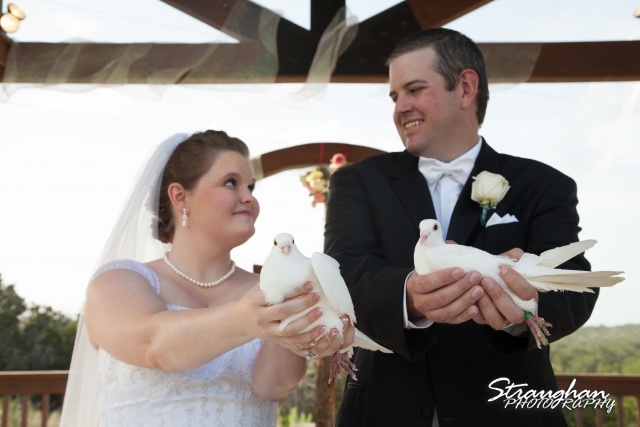 The dove release was beautiful! 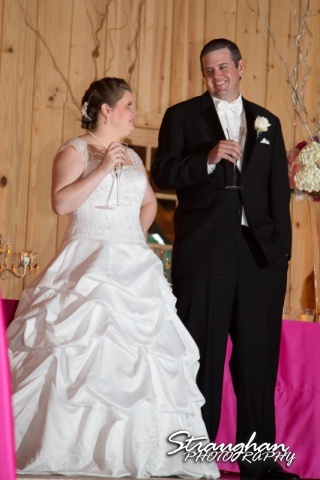 The grand march was fun!